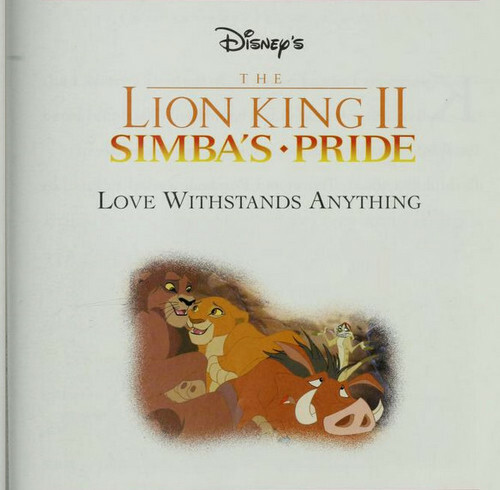 The Lion King II: Simba's Pride - Love Withstands Anything. from Disney's Princess Collection. Wallpaper and background images in the The Lion King 2:Simba's Pride club tagged: photo the lion king ii: simba's pride. This The Lion King 2:Simba's Pride photo might contain anime, comic book, manga, and cartoon. hisani is pround of her land!